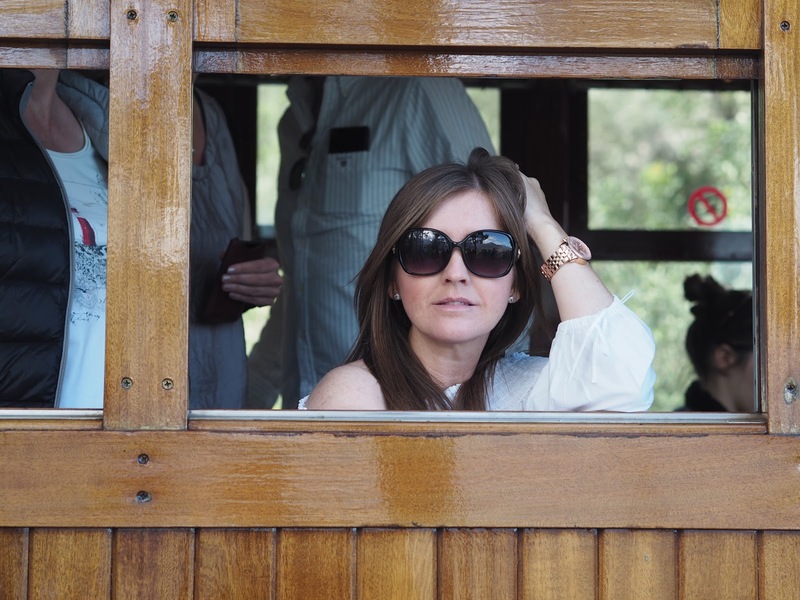 A trip to Palma is not complete without a journey on the train to Soller and you simply have to do it. 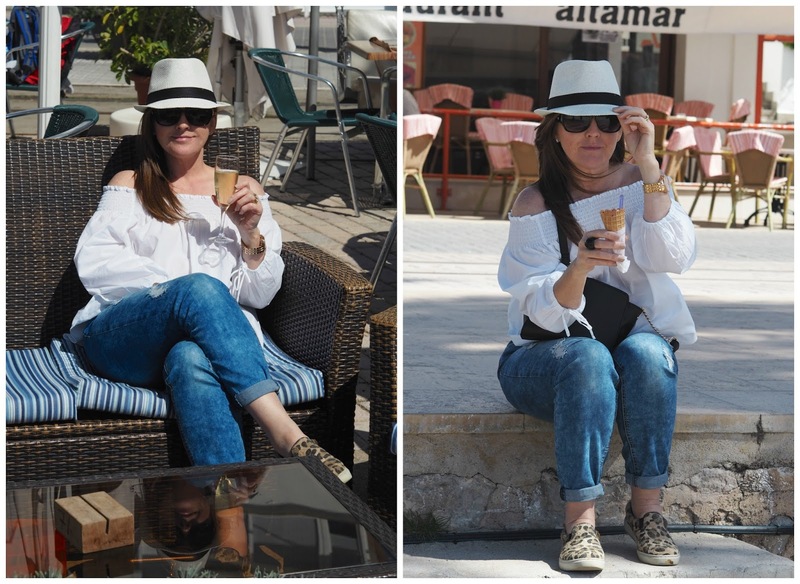 If you missed my last post about Palma, you'll find that HERE. It's a truly magnificent journey through the town, yes I said town, countryside and then up through the Sierra de Alfabia mountain range. 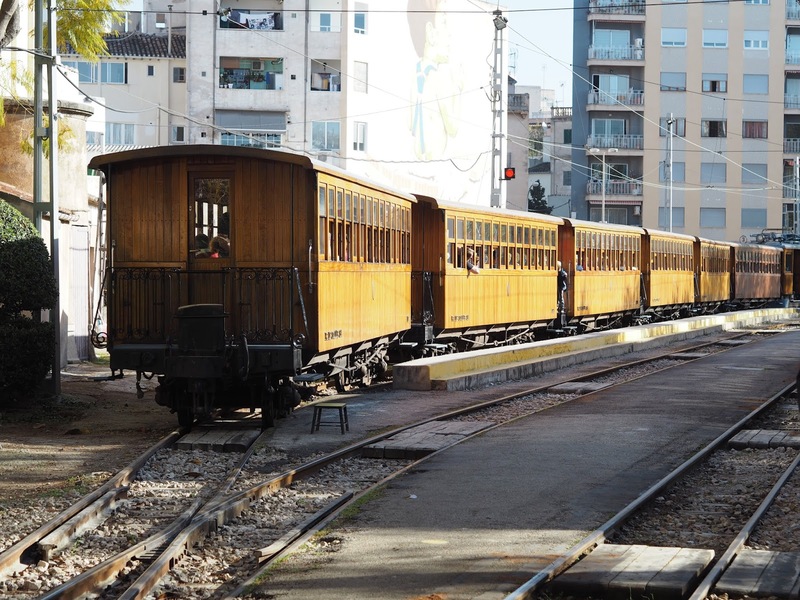 The train line has been in operation since 1912. The old vintage train makes it way through the town, stopping a few times, before heading out into the countryside. Sit back, relax and enjoy the journey. Your adventure will take you through many tunnels, over bridges and the 5 point Soller viaduct. The train twists and turns and goes up and up, I think something like 199 metres up and before long you're treated to the most magnificent views. Although, my pictures don't do the views much justice but in my defence it's hard to take a good shot on a rickety wooden train! 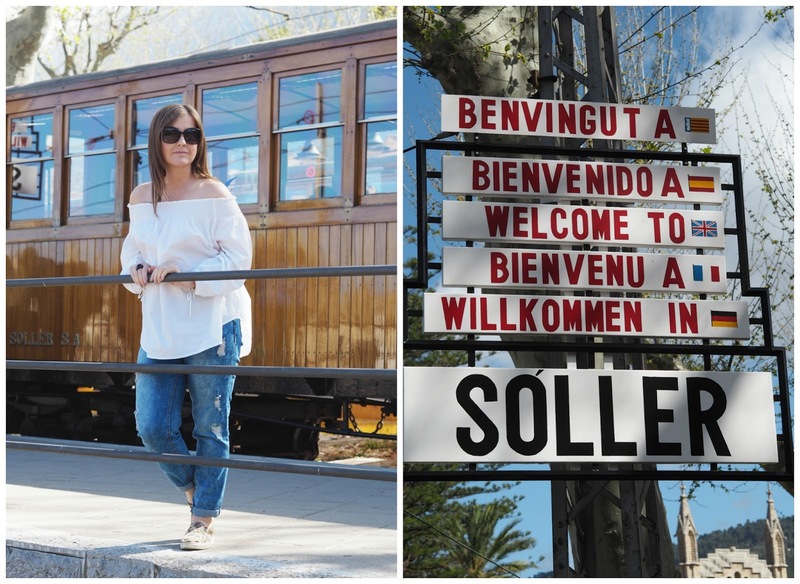 Your magical train ride takes around an hour and all too soon you arrive in Soller. You kind of don't want it to end but on the other hand you want to go explore, and besides you've got the journey back. You can't help but smile as you walk down in to the town, with it's quaint little square filled with cafes, bars and shops overlooked by the mountains and the beautiful church. The trams weave their way through the tiny little town on their journey to the port and you won't believe how close they are to the buildings. We sat and had a freshly squeezed orange juice before we hopped on a tram and honestly this is how close they came to where we were sitting. Push your chair out too far and you're a gonner! Sit and people watch, grab a bite to eat, drink and wander around the little town first. 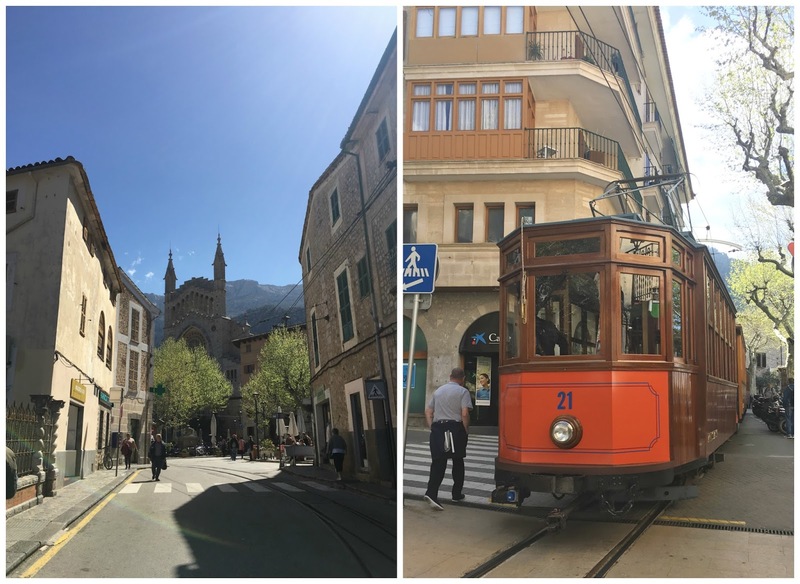 Don't take too long though as you MUST jump on a tram and head down to the Port de Soller. Buy your train and tram ticket together at the station in Palma and it'll save you a few euros. The trams are fun. Either take a seat inside or stand on the back platform to get the fresh air and wafts of orange blossom from all the groves as you trundle down towards the ocean and the port. And oh boy what a view when you get there. 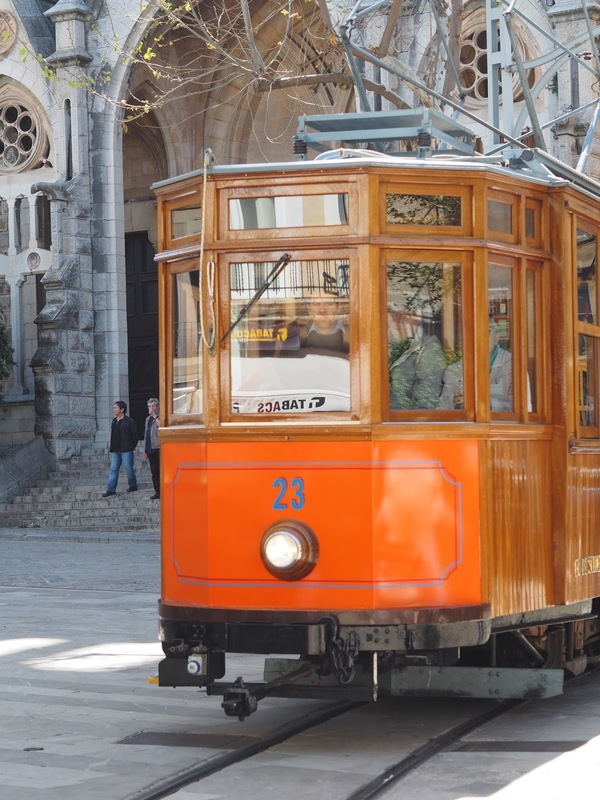 As soon as you step off the tram you'll find everything within a short walking distance. 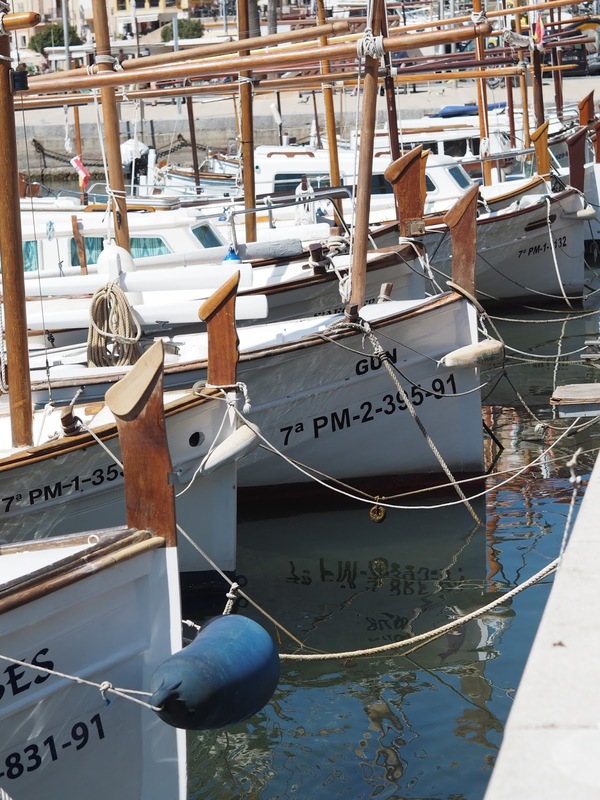 Have a wander around the harbour. Have a browse in the shops that are dotted here and there, although shopping is limited to touristy stuff really but you can grab yourself a few knick knacks if you fancy. And soak up the views. There's a lovely beach to relax on with the most crystal clear water, it's shallow and totally calm. 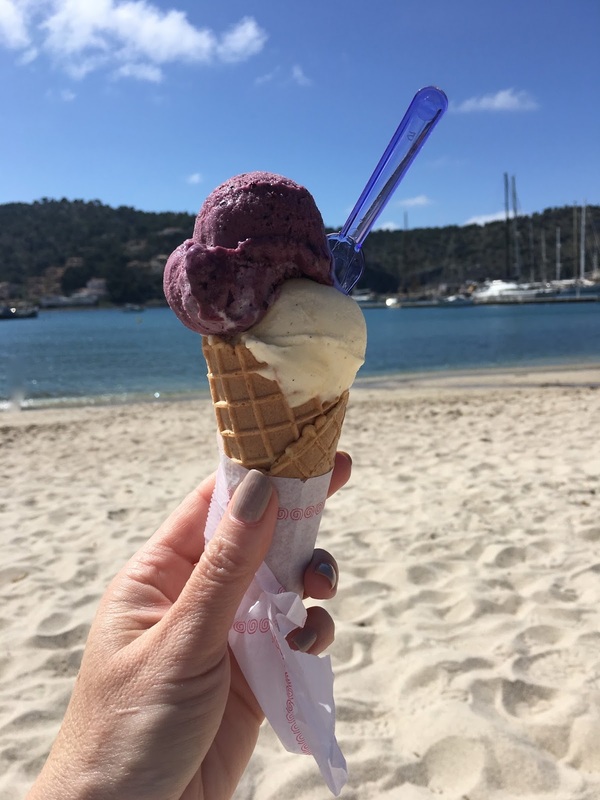 The promenade runs just behind the beach and is lined with bars, restaurants and cafes, in fact you're a bit spoilt for choice, there really is something for everyone. After a good wander we spent the rest of our time parked at a bar, glass of something fizzy in hand, happily watching people coming and going. 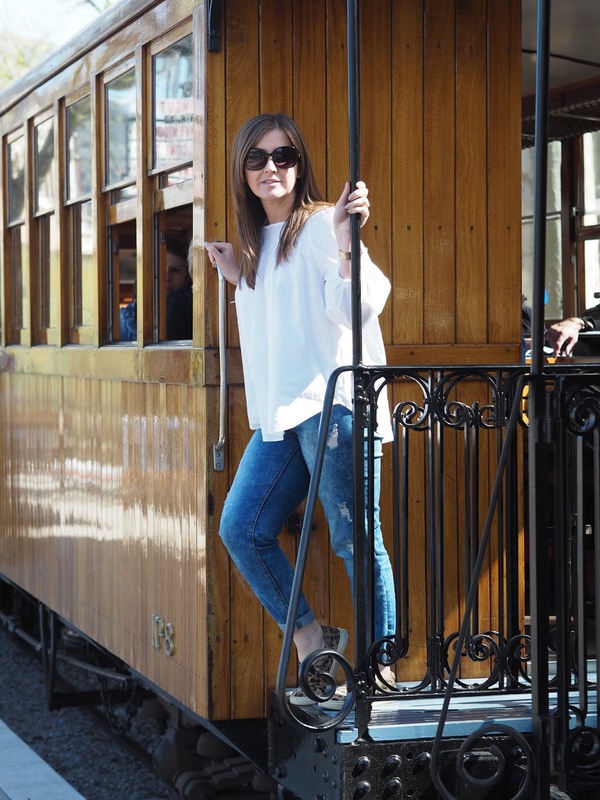 Just make sure you don't loose track of time and miss the last tram back, or you'll have a good uphill walk and then probably miss the last train back to Palma! There are a few decent hotels too, although I'm not sure I'd stay in the port itself, a day trip was perfect for us. I'm sure there's plenty to do though if you did stay there for a few days, sunbathing, eating, drinking, diving, snorkelling, hiking around the mountains (spectacular views apparently), hiring a boat for the day, is that enough? 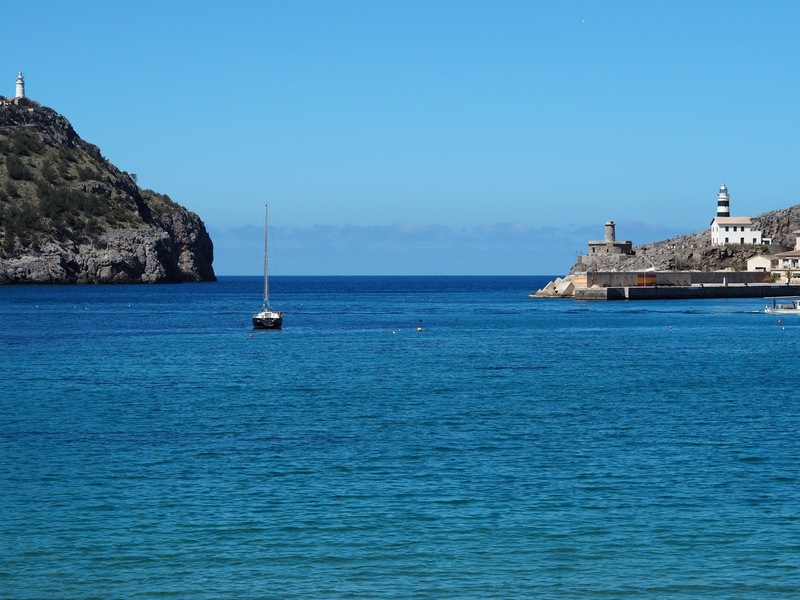 Port de Soller is not over developed at all, it's so beautiful and picturesque and I really can't recommend this day trip enough. It's like going on a little adventure and it's so easy to do. The trip cost 30 euros each for the train and the tram (return.) Some may think it's a bit steep but it's well worth it for a full and exciting day out. Make sure you take the tram to the port and that's an order! Make sure you take any pictures of the train/mountains on the way there, you'll be far too tired on the journey back, in fact the rocking train will have you drifting off in no time! 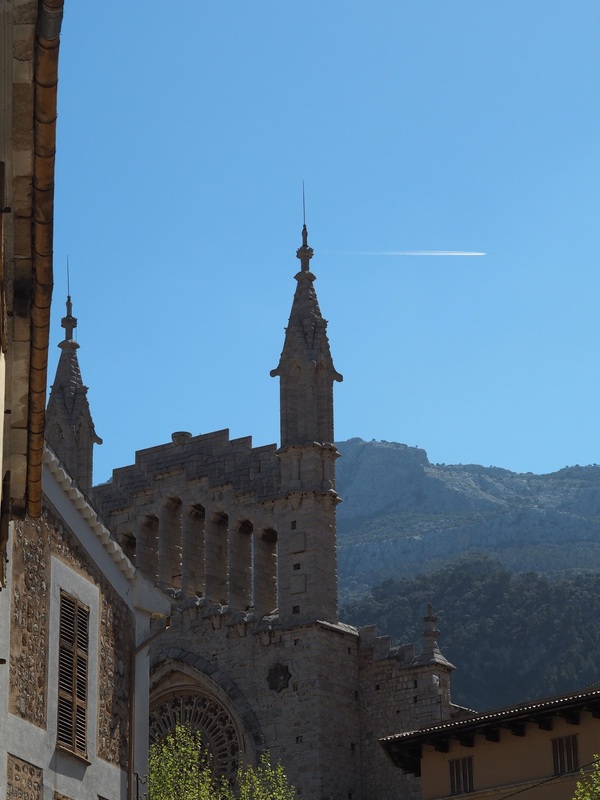 Have you visited Soller or stayed in Port de Soller before? Steph I LOVE the photos in this post, although my eyes are now green with envy as i want to go. So, just to clarify, when you say the train goes up, are we talking one of those terrifying rides that feels like you are teetering on he edge of a mountain? Is it right on the edge? 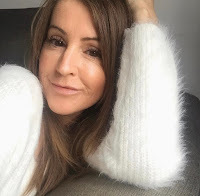 Love this post Steph. Pictures are amazing and the place sounds and likes wonderful. Looks stunning! Your pics are amazing! Looks like a brilliant say trip! Again I will be referencing your blog if we get to go! I want to go!